I have some very odd tastes in food sometimes. I like a lot of things that others may find odd but to me, it's delicious. I love salted tomato with mayo on toasted bread and I have always enjoyed a glass of OJ when I munch on a pickle. Odd to some, but yummy to me. New flavors don't scare me and I love when I get to try them out through an international subscription service. 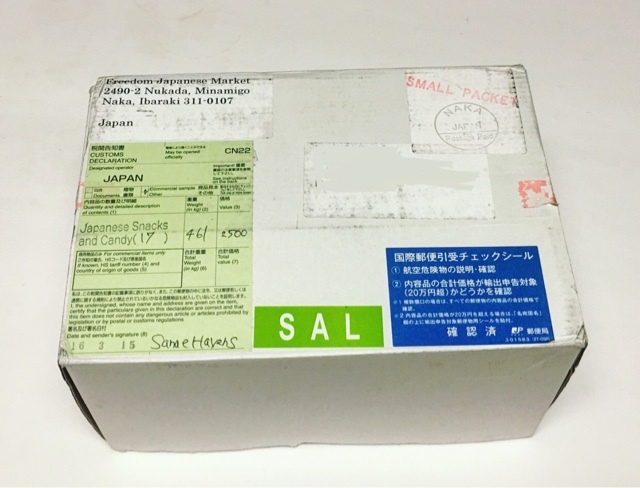 This time It's the Freedom Japanese Market box! 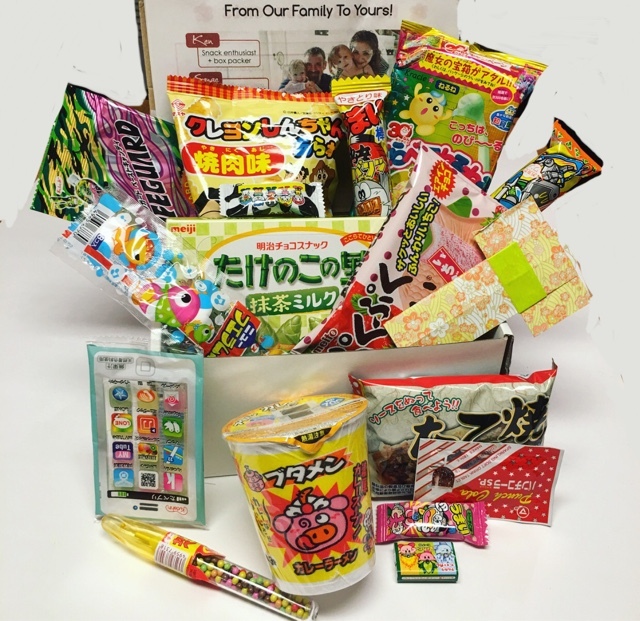 Freedom Japanese Market, who very kindly sent me this box for review, is a monthly snack subscription box. 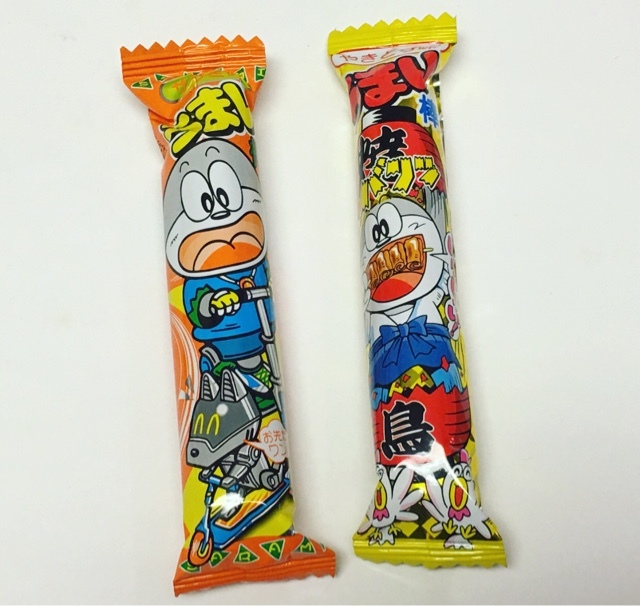 Each month, your box will contain many limited edition snacks that are often only sold in Japan. There are 3 subscriptions to choose from (which all have free worldwide shipping! ), starting at $12.99 per month up to $45.95 per month. 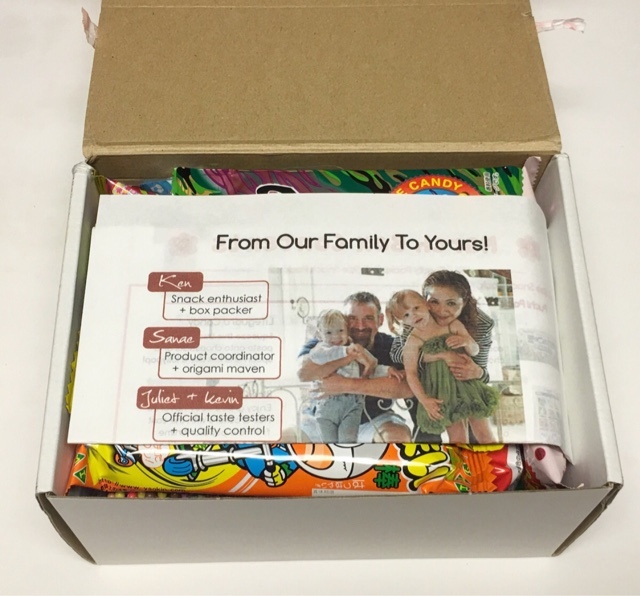 This review is for the $45.95 per month Family Pack. 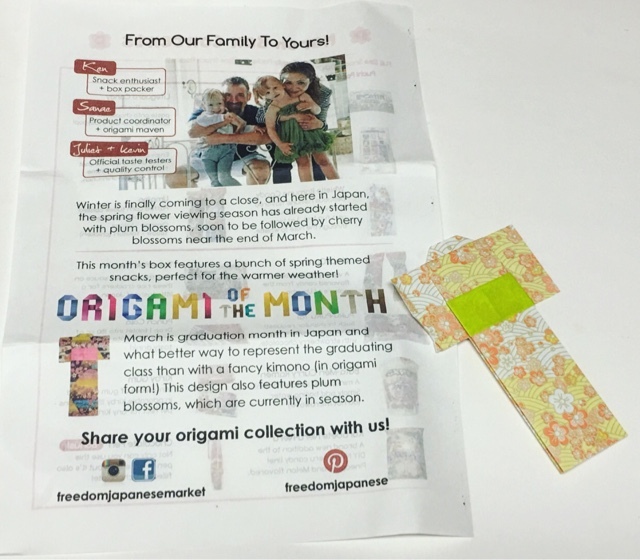 Each month features an 'Origami of the Month'. This time it was a little paper kimono. I'm really surprised and excited to find this box as full as it is. There is a ton of stuff in here! 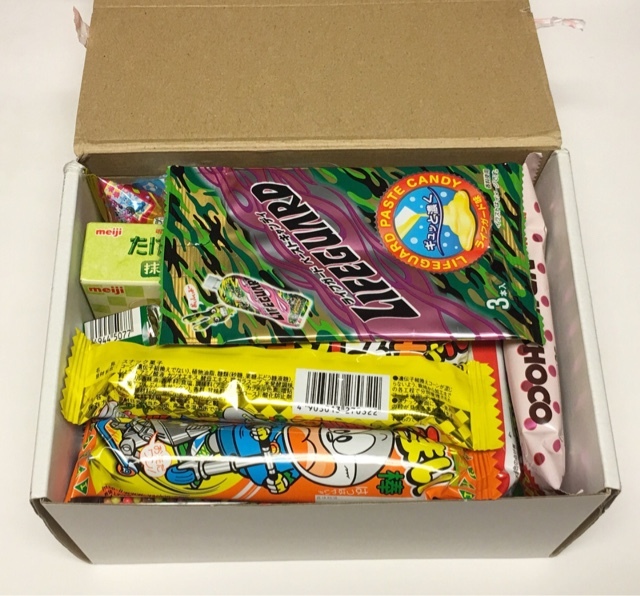 One big thing about this box is that it includes actual snacks you'd find in the store in Japan. None of these products are the kind that are made in Japan for the US consumers so none of the packages are in English. Thankfully, Freedom Japanese Market has included a detailed information sheet in English so you know exactly what your eating! Tako-Yaki Senbel --- These yummy little rice crackers come with a sauce to pour over them. 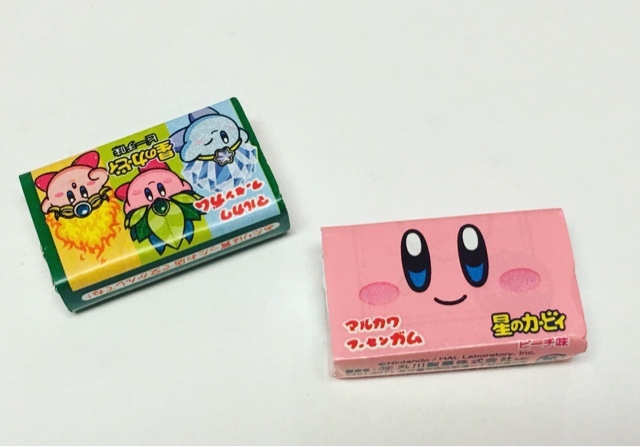 Kirby Gum --- I used to love the Kirby cartoon. 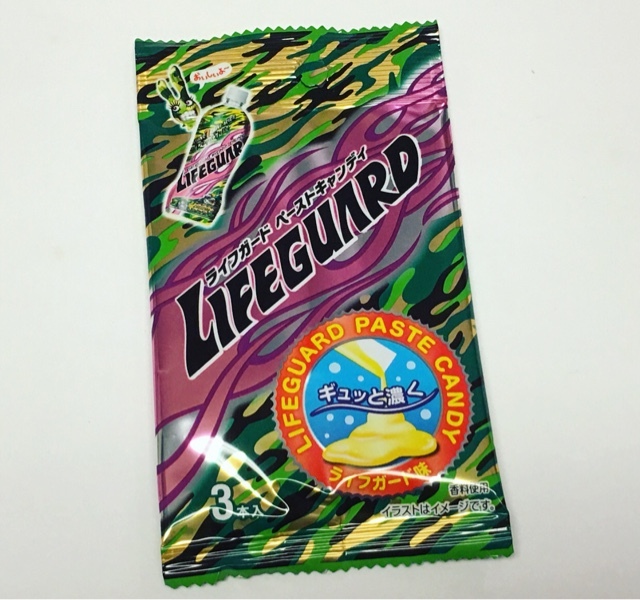 A bit of nostalgia with your bubble gum! 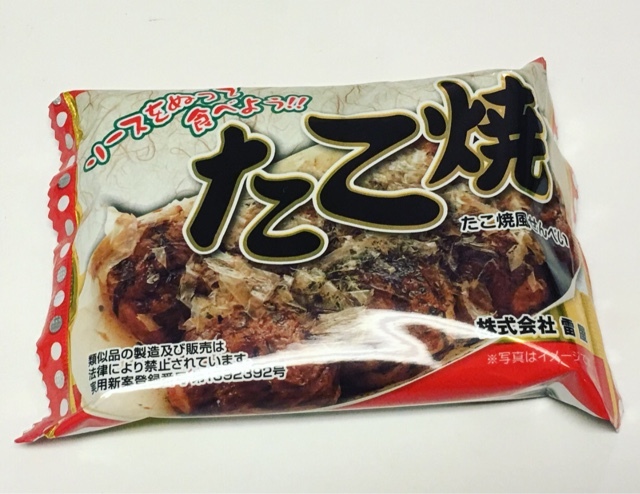 Buta-Men Curry Ramen --- Yes, I am adventurous with my tastes but I haven't built up the courage to try these yet. I love ramen but the packaging scares me a little! Haha. 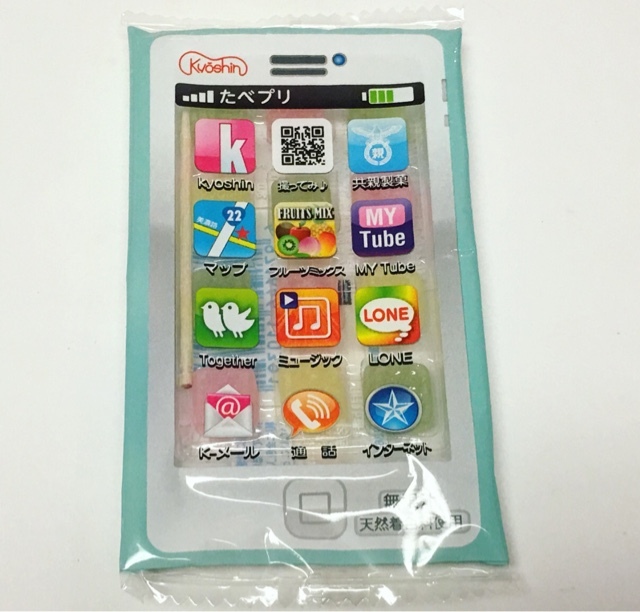 Smartphone Candies --- Fruit shaped candy in a fun and colorful package that looks like your phone. 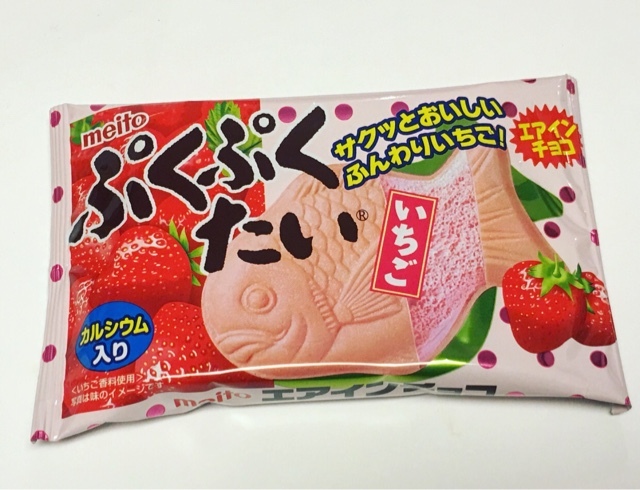 Puku-Puku Tai --- Fish shaped wafers filled with strawberry chocolate. They taste great but the fish shape threw me off a bit considering the sweet filling! 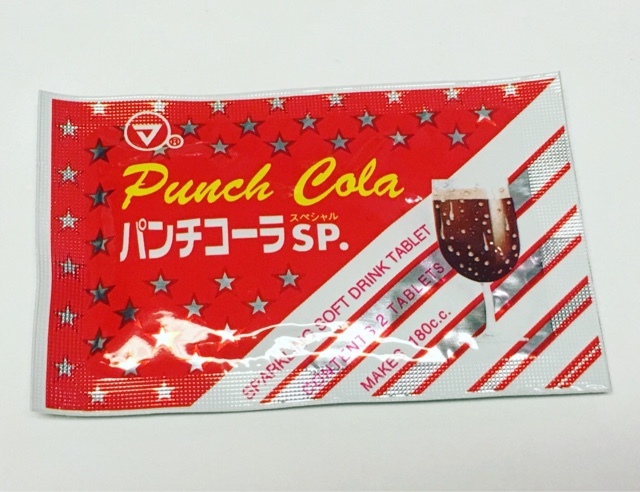 Punch Cola --- I very interesting idea. Just drop a tablet into water for your own fizzy soda drink! 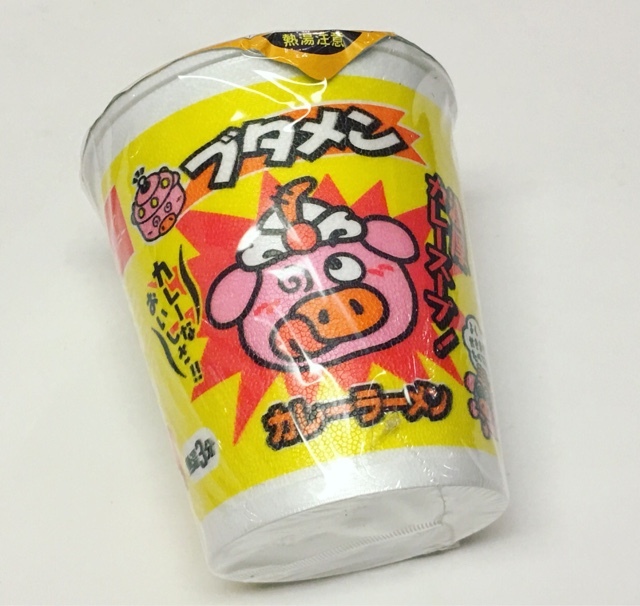 Kurabete Neru-Neru --- A Diy candy? Interesting. 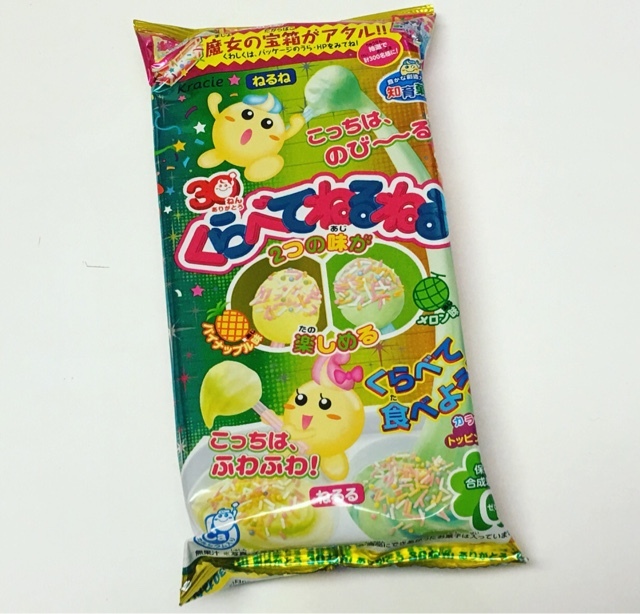 Apparently it creates pineapple and melon flavored candies, but I don't have a clue how to mix it and I don't think I like the ideo of making it myself! 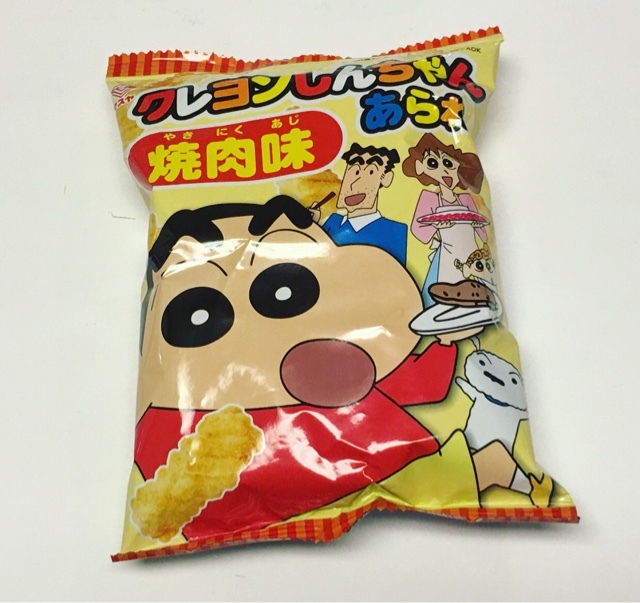 Yakiniku Rice Crackers --- Grilled beef flavored rice crackers in the shape of characters from a popular anime called Crayon Shin-Chan. 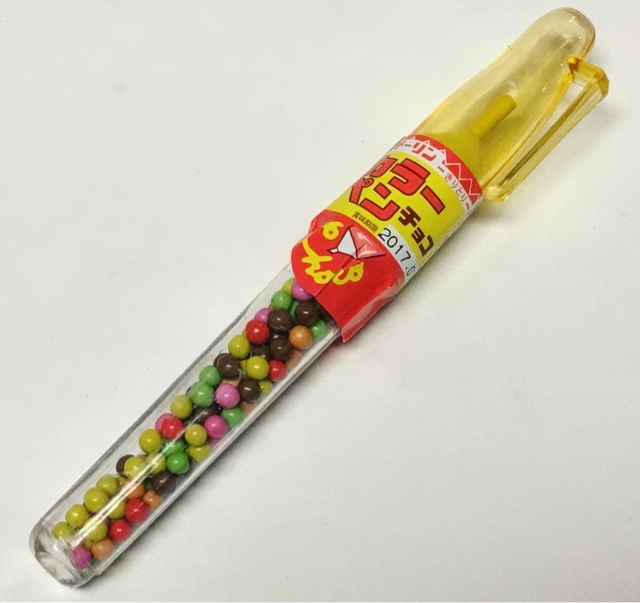 Chocolate Pen --- A pen you can actually write with that's filled with colorful chocolate pieces. Neat! Umaibo --- Yeah, these aren't for me! They are puffed corn tubes coated with salami and chicken flavored powders. Takenoko na Sato --- another one that caught be off guard with how much I like them. 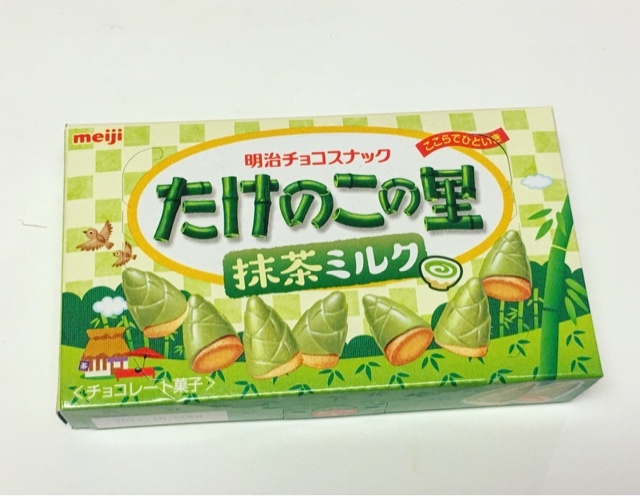 These tiny bamboo shoot biscuits are coated in yummy matcha milk chocolate. 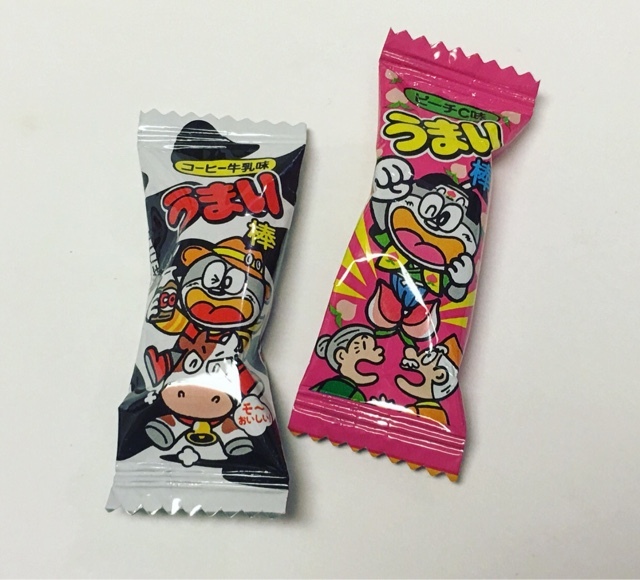 Umai Candy --- these little candies came in assorted flavors. I like be the wrappers! 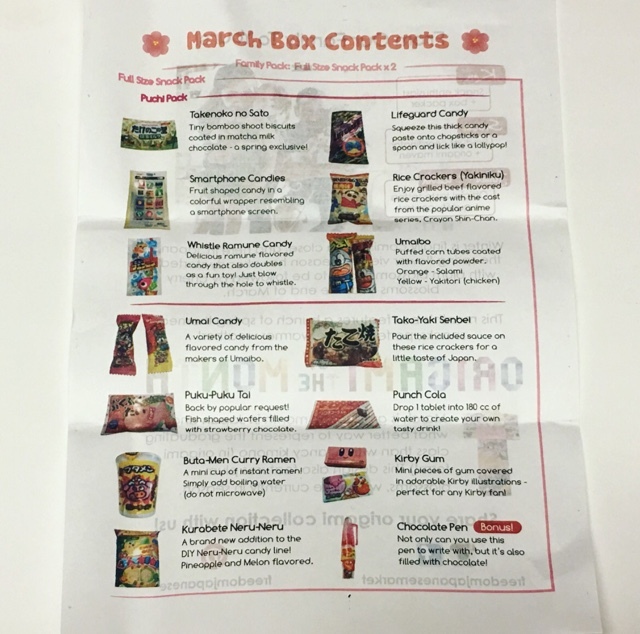 As with any snack subscription box, there were hits and misses for me. Everyone has different tastes but isn't it so much fun to try new things? I think so and I think this box had a great variety as well as a great quantity of items. I'm not sure the value is there for the larger boxes but I think the smaller sizes are definitely worth a try if you are into foreign snacks! Thoughts on Freedom Japanese Market? Share with us!